It was a day for the female runners at Devonport Bluff on Sunday with the Devonport Mazda Front Markers and Simons Design Centre Back Markers 5km events taken out by Sally Milbourne and Brooke Fehlberg respectively. 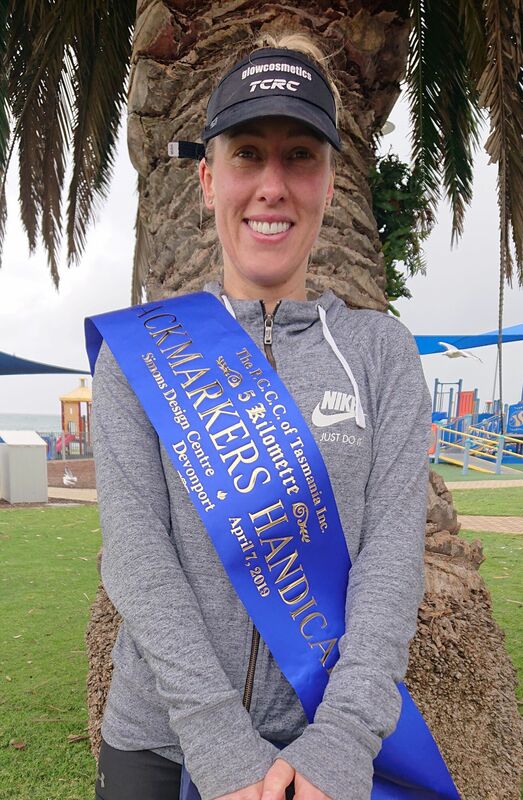 Milbourne, who started a strong favourite for her event, ran with the Club for a couple of seasons six or seven years ago but then injuries, work and having children kept her away until this year. She had a comfortable victory with husband and wife, Sven and Karina Mason filling the placings. Sven gaining the bragging rights for this week by finishing forty seconds in front of Karina. 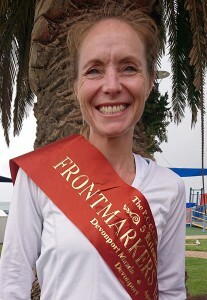 Others to record promising performances included Ros Hendriks, Steve Allen and Barry Ling. Fastest male was John Badcock with Kelly Baxter fastest female. The Back Markers was an exciting event, the field being packed with some of the best distance runners on the Coast. However, Fehlberg wasn’t daunted. Starting from the front mark, she defied all challengers to lead from start to finish and hung on for a narrow win from Amie Bramich and youngster Alex Johnstone. Great runs were recorded by Thomas Murton and Brian Lyons, the last two runners away, both storming into the top ten. Fastest male and female were Thomas Murton and Amie Bramich respectively. Nominated time winners were Jennifer Fuller, Marion Badcock, Ruby Greenhill and Alicia Bramich.